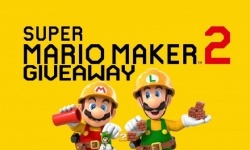 Enter to win new gaming sweepstakes for 2019. Below is a list that includes some of the best sweepstakes you will find on the internet. With chances to win great prizes, you do not want to miss out. Be sure to check back to this page every day to enter the fresh new 2019 gaming sweepstakes as they are added. 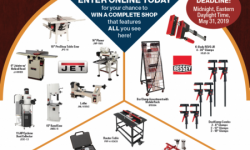 For daily entry giveaways, each day you enter to win is one more chance to get the prize of your dreams, and you do not want to miss out. Enter for a chance to win an ORIGIN PC EVO16-S powered by an NVIDIA GeForce RTX 2060 graphics card! In honor of the new ORIGIN PC RTX-powered laptops now shipping, we’ve partnered with PewDiePie to give away an EVO16-S thin and light gaming laptop to a lucky fan! 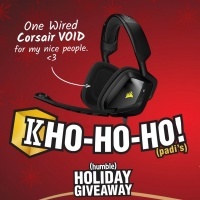 Enter for a chance to win a VOID PRO RGB Premium Gaming Headset. The VOID PRO RGB Wireless headset provides exceptional comfort, epic audio performance and legendary CORSAIR durability to deliver the ultimate gaming experience. Every 3 days in October, we are giving away 1 pair of Hamburg computer glasses. Say good bye to tired eyes! Our premium quality computer gaming glasses will improve your sleep quality and reduce digital eye strain by blocking harmful blue light. Glasses come with a designer case and microfiber cleaning cloth. 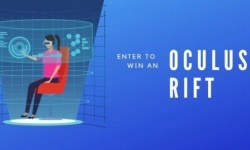 Enter this giveaway to win a $2,000 Gaming PC and Oculus Rift Bundle! YOUR PACKAGE INCLUDES: $1200 Acer Aspire Gaming PC, $400 Oculus Rift VR Headset, $300 Asus Gaming Monitor, $100 Gaming Keyboard + Mouse. Enter to win a Nintendo Super NES Classic Edition game system. Bring back the gaming magic of the '90s with the Super NES Classic! Nintendo has gone full nostalgia mode with this super portable console, allowing you to play 20 classic Super NES games (plus the never-before-released Star Fox 2!) without any additional purchase or attachments required. The Grand Prize consists of a Xbox One X. The next generation of gaming lands November 7th, and you will be nowhere near a line if you win this giveaway. You'll have an Xbox One X on its way to your doorstep while you sleep soundly, dreaming of new 4K gaming experiences, the smoothest and fastest gameplay the world has ever seen, and counting sheep labeled with all of the different ways you can enjoy your Xbox One X.